At The Peninsula we offer both assisted living and memory support residences within our community and help many families who have a loved one with various stages of dementia. Having a loved one diagnosed to determine if they have a form of dementia is essential and better helps in living and caring for them. A diagnosis may rule out other conditions that have symptoms similar to dementia and could be treatable. 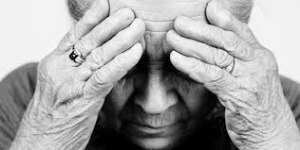 Depression, chest and urinary infections, constipation, vitamin and thyroid deficiencies and brain tumors may seem to be dementia related. By reaching out for advice, information and support, a person with dementia, their caregiver and family can better prepare and plan for the future. A diagnosis is made from a careful history of the person and the family along with a doctor’s examination. A neurological evaluation is important along with cognitive and neuropsychological testing, CT’s and MRI’s other brain scans, mental status exams, electroencephalograms, blood tests and psychiatric evaluations. Some people who may have a genetic link to dementia can also have genetic testing. While there is no cure for dementia, a great deal can be done to ease the burden for the person with dementia and the caregiver through medication, activity and support. Taking advantage of respite care provided by senior communities such as The Peninsula can help someone acclimate to moving to a community when greater care is needed. Families can become more comfortable with the situation as well. It’s important to reach out early to know about community resources. Our assisted living residences are known as The Garden at The Peninsula. For our residents with memory loss, The Garden offers the same assisted living services as The Peninsula, but more support services are geared to their specialized needs. The Garden is designed as a warm, secured environment with an intimate dining and common area. A special calendar of activities is offered at The Garden for residents with special attention to incorporating familiar cues that assist residents with orientation and help decrease frustration and anxiety. To learn more about The Peninsula and our assisted living and memory support residences, please call 954-893-7755 or visit us at 5100 W. Hallandale Beach Blvd. in Hollywood.